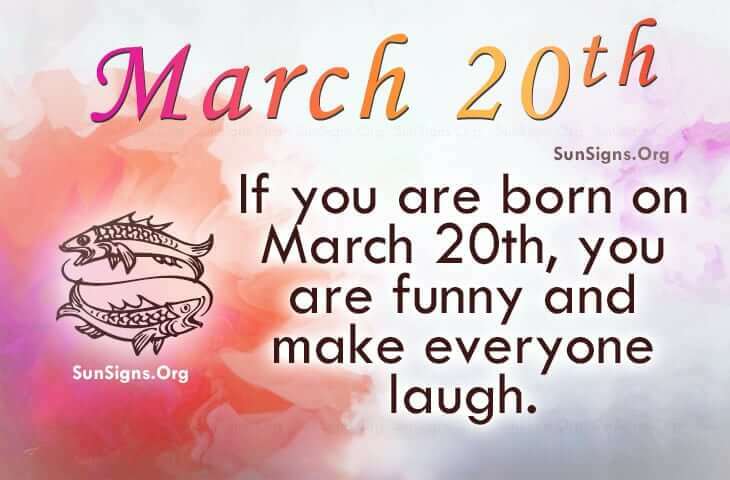 Famous people born on March 20 are funny Pisces. They don’t ever meet a stranger and find it easy to make everyone laugh. However, they are not like the other fishes. People think they are weird. Compared to most, I guess they are. The March 20th famous birthdays have many talents. But they can be reclusive. Being isolated gives them the opportunity to think and to plan. They have goals they want to meet on time. Their friends think the world of them. Although they don’t have many friends or even many family members in their circle, they should keep them close. As a profession, famous people born on March 20th should look to caring for others. Maybe a doctor or a nurse is a good match when it comes to looking for work in the health care field. When it comes to being thrifty, they could write a book. They love to visit the local thrift or consignment stores to find interesting and low priced items. Famous people born on March 20 are adaptable personalities. This Pisces zodiac individual wants freedom more than anything. Typically, they expect anyone close to them to be understanding of this. On the other hand, they can be isolated and withdrawn. Below are a list if famous March 20th birthday celebrities.